flumpool has officially restarted its activities. 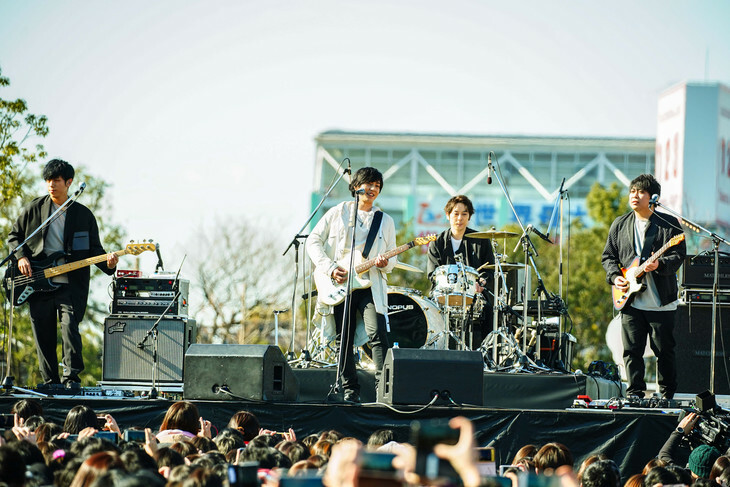 The band held a surprise outdoor concert on January 13, the day it formed, in Osaka. Fans were given 3 hours notice via twitter, and the set list of two songs were even shorter. But the band has much more in store for the next few months. In February, the band will be holding a fan club tour. A nationwide hall tour will be held in May. The band has also announced its intentions to release a new single in May. Recording for the song is currently underway. flumpool went on indefinite hiatus in December 2017 due to vocalist Ryuta Yamamura&apos;s throat condition. flumpool Announces 18th Single "Toutoi"